ORLANDO – A legendary American success story as a businessman and a noted philanthropist for his many charitable ventures, Rich DeVos’ nearly three-decade ownership of the Orlando Magic often ranked third on his list of lofty accomplishments. Still, the impact that DeVos was able to make at the NBA level – specifically with the hundreds of Magic players he encountered through the years in one-on-one locker room chats – was realized on Thursday upon his death at the age of 92 years old. ``You’d be amazed at how many players and former players I’ve already heard from today, including Shaq and Jameer and several others,’’ said Martins after announcing that DeVos – the Magic’s owner since 1991 – had died at his home in Ada, Mich.
DeVos died on Thursday following complications from an infection. His death comes nearly 11 months after the Magic organization was rocked by the death of Helen DeVos, Mr. DeVos’ wife of 63 years, before her passing last October. 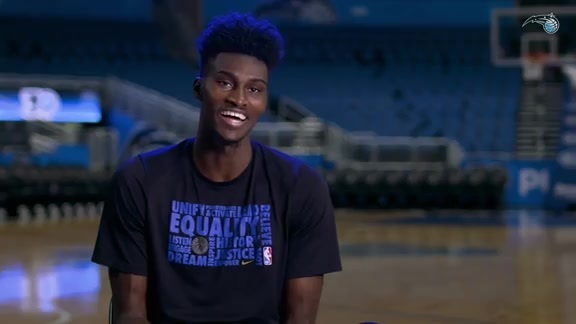 Martins said on Thursday that the Magic will wear `RDV’ patches on their uniforms this season and there will be a notation on the Amway Center parquet floor honoring the franchise’s legendary owner. Now, less than three weeks before the Magic are to begin their season – one that Mr. DeVos was eagerly anticipating, according to Martins – the franchise must try and continue the legacy of an owner who always expected his franchise to be dynamic difference-makers on and off the basketball floor. Upon buying the Magic in 1991, DeVos famously vowed that the team actually belonged to the people of Central Florida and he was merely a steward for the franchise. He always stressed that the Magic would strive for success – both as a championship-caliber team on the floor and a difference-making entity in the community. In that respect, the Magic captured two Eastern Conference crowns, five division titles and won at least 50 games seven times during DeVos’ ownership. Twice, the Magic came close to winning a championship for Central Florida, losing in the NBA Finals in heartbreaking fashion in 1995 and 2009. Martins said being unable to secure a championship for DeVos will always be one of his greatest disappointments professionally. Despite being confined to a wheelchair much of the past two years, he attended approximately 20 home games while rooting on the team from his customary seat along the baseline near the Magic bench. Before and after games, he’d show his support to the team’s players and coaches in the best way he knew how – through genuine, heart-felt words of encouragement. There is no regret, Martins stressed, in how the Magic have approached their active role in the Central Florida community because of the mandates made by DeVos for decades. DeVos’ philanthropic fingerprints can be seen all over Orlando and Central Florida whether it be his creation of the DeVos Sport Business Management Program at UCF, the eight community gymnasiums in Orange County, his contributions to the Dr. Phillips Performing Arts Center or his charitable donations following the Pulse Nightclub massacre in Orlando in June of 2016. Under the DeVos family’s direction, the Magic support the local community through sponsorships of events, donated tickets, autographed merchandise, and grants. In addition, over the last 28 years, various local nonprofit community organizations have received support through the Orlando Magic Youth Foundation which serves at-risk youth and has impacted more than one million children. Magic community relations programs annually impact an estimated 100,000 kids each year, while the Magic Volunteer Program (MVP), an organizational staff-wide initiative, provides more than 7,000 community volunteer hours annually. Through the years, the franchise has donated more than $24 million to the community. 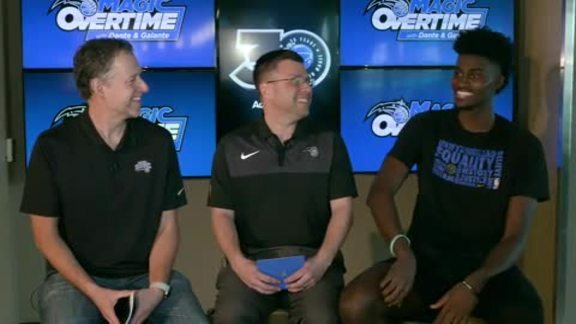 Martins said that he doesn’t anticipate any change in the Magic’s ownership in the near future because of the family’s complete investment in the franchise. In addition to Dan DeVos serving as the franchise’s chairman, Ryan DeVos – one of Mr. DeVos’ many grandchildren – recently completed a successful first season as Director of Magic Gaming. Martins figures the legacy started with the Magic via Rich and Helen DeVos will continue for years to come via the patriarch’s and matriarch’s children and grandchildren.